Percussionist and composer Carlo Costa was born in Rome, Italy. In 2001 he moved to Boston to study music. Since 2005 he’s been living in New York City where he regularly performs as a leader and co-leader of various projects, as well as a sideman. 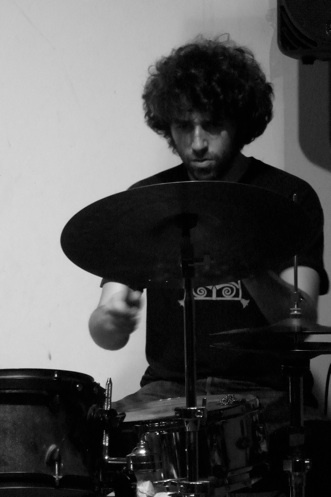 Carlo is primarily involved in music that ranges from avant-garde jazz to improvised chamber music and is an active composer for his ensembles and ad hoc projects. He has performed throughout Europe and the US in a wide variety of contexts. Carlo currently leads or co-leads Natura Morta (a trio with violist Frantz Loriot and bassist Sean Ali), the Carlo Costa Quartet (with trombonist Steve Swell, saxophonist Jonathan Moritz and bassist Sean Ali), Earth Tongues (with trumpeter Joe Moffett and tubist Dan Peck), the large ensemble Acustica, the trio Ancient Enemies (with alto saxophonist Nathaniel Morgan and violist Joanna Mattrey), a duo with drummer Flin van Hemmen and a solo percussion project.In November 2014 Carlo launched the record label Neither/Nor Records which is dedicated to experimental and improvised music.